The Official Blog of author Bacil Donovan Warren. Announcements, publications, reviews, and a report on the possibilities of writing and publishing in the Cloud Era. Some of the links on this page may be affiliate links, and I will make a small amount of money when you click on them, or buy the product. I have not been paid to review any products, nor have I been given any products for free in exchange for a review, and any affiliate links that may be present will not change the price you pay for an item. I recently came across a posting from Guy Kawasaki about his new book, APE: Author, Publisher, Entrepreneur–How to Publish a Book, and was delighted to be able to take part in the immediate pre-release review. I’ve been a fan of Guy’s since his days as Chief Evangelist at Apple, and jumped at this opportunity. I hadn't been keeping close track of this book or what it is about, so I came into it not knowing what to expect. According to APE, self-publishing is stigmatized, rightly or not, and so the process of writing a book, and publishing through non-traditional means, should be viewed not as a vanity exercise, but instead treated artistically. He refers to this type of serious publishing by authors as “artisanal publishing,” to separate it from the stigma associated with so-called “self-published” works. Success as an artisanal publisher of your own writings, Guy argues, requires the filling of three roles, mostly simultaneously: Author, Publisher, and Entrepreneur (or, APE… and, hence the title). The target audience for this book is primarily authors frustrated with online or eBook publishing by traditional houses, or new authors looking to self-publish but unsure where to start, and it is these authors who will find the most wisdom in his experience. The book is essentially a compilation of the information that Guy and his co-author, Shawn Welch, found useful while attempting to overcome the hurdles faced when the publishing house of one of Guy’s previous books ran into difficulty with large eBook production, and his experience rectifying some of these issues. Boiled down to one sentence, APE is a primer on artisanal publishing for anyone who writes, and wants to publish, and in that it is an outstanding guide. I’ve been researching and digging up information on publishing, and particularly “self-publishing” for more than two decades now, and this book taught me quite a bit. The “Author” section of the book covers some fairly basic things, including making a recommendation for your authoring platform (an Apple Mac Book Air, with Microsoft Word) and when needed, detailed explanations for how to configure and work with other platforms or programs. 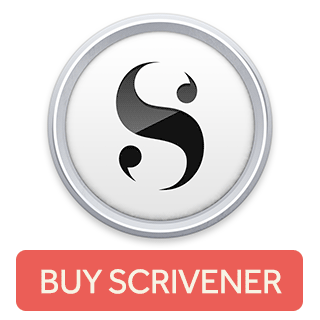 It also briefly covers other software, such as Pages and Scrivener, and others. In addition, APE covers financing, and a little bit of storycrafting, as well as pretty well exploding the romantic notion we all have about how our soon-to-be-bestseller will progress. In the Publisher section, APE goes into extensive detail about the various options available to an artisanal publisher, and breaks down important things like royalties, pricing strategies, and formats, as well as a very helpful guide to converting your manuscript from what I call “writing-mode” work (word .DOC or .DOCX file, or .SCRIV from Scrivener, etc.) to “publishing-mode” (MOBI, EPUB, PDF, or whatever your final output may be). It covers everything from publishing and distributing eBooks to getting very small-batch printed books (like a “vanity” press might perform) to large-scale printing of hard- and softcover books. Even with my many years of exposure to this information, I still learned a lot reading this section. Finally, the section on Entrepreneur brings together some useful information about marketing and PR, including some great tidbits on using social media for reaching your target audience. It covers both some traditional PR coverage, and how to do your own PR, as well as “new-media” ways to extend the reach of your marketing. Then, at the end, Guy and Shawn detail how they used the advice contained in APE to actually write, edit, publish and market APE. It is not a long chapter, but shows step-by-step what choices they made, as a proof-of-concept. If you are a writer, and you are disgusted with traditional publishing, don’t want to deal with that hassle, or simply would rather publish your work yourself, APE is the best book I’ve come across for doing your own publishing. Its principles are to put the tools for publishing into the hands of the people doing the writing, democratizing publishing in the process. APE: Author, Publisher, Entrepreneur–How to Publish a Book ships on 10 DEC 2012, through Amazon as a Kindle eBook (ISBN 978-0-9885231-1-1). Guy Kawasaki and Shawn Welch wrote it. You can get more information from the book’s website ( http://www.apethebook.com/ ). © 2016 by Bacil Donovan Warren. All Rights Reserved. Awesome Inc. theme. Theme images by mammuth. Powered by Blogger.